Senior AAP leader Kumar Vishwas has dismissed the whisper campaign against him insisting that he was "only liable to the party workers and AAP's founding principles", not to the bunch of Twitter-savvy party leaders in Delhi. Kumar Vishwas came under attack from AAP leaders after his speech to party volunteers from Rajasthan. 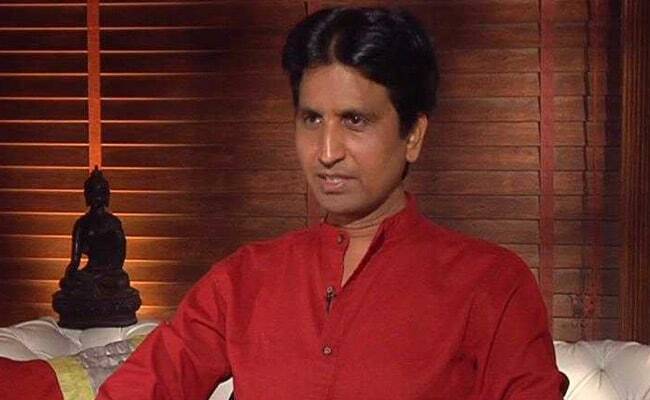 NEW DELHI: Days after he laid down the ground rules for the Aam Aadmi Party's campaign for the Rajasthan assembly elections, senior AAP leader Kumar Vishwas had come under renewed fire from AAP leaders in Delhi with some of them questioning his loyalties or motive. On Tuesday, the 48-year-old AAP co-founder broke his silence. In an exclusive interview to NDTV, Mr Vishwas addressed some apprehensions, clarified his rationale for others but firmly stood his ground. Mr Vishwas has been a long-time critic of the way the party had contested the recent assembly elections and the Delhi municipal elections at the party's internal meetings. In a conference of AAP volunteers from Rajasthan last week, Mr Vishwas delivered a speech that included a scathing critique of the party's handling of the Punjab and Goa elections. In between, he also frowned at the practice of the party giving turncoats from other parties, declared that only state leaders would be projected in AAP's posters and pledged to end what he calls the Delhi dominance over the state elections. At the AAP headquarters in Delhi, the speech was interpreted to be highly critical of the way Arvind Kejriwal had run the party. It was also speculated that the announcement to keep central leaders out of the posters was aimed at cutting AAP convenor Arvind Kejriwal's coterie to size. "Arvind is the national convenor. How can the party run (the campaign) without his face," he said, pointing that it was akin to the BJP not using PM Narendra Modi's photo. By central leaders, Mr Vishwas said, he only meant not using his own photograph and others like him from Delhi. The AAP leader also made it clear that he expected a free hand to devise the campaign for the assembly elections in Rajasthan, just as the party's points-person for other states had. Mr Vishwas was last month appointed the party's points-person for the assembly election, the party's first big battle before 2019 Lok Sabha general elections. Mr Vishwas also explained that his "days of Delhi's dominance are over" remark was made in the context of the mistakes made in Punjab, Goa or even Delhi elections where party tickets were given to last-minute turncoats and expenses for central leaders incurred from state funds. "I have said that no one would be given a party ticket unless the person has been with the party for at least a year," he said, adding that the opinion of volunteers would be sought before inducting good people from other parties. As for the whisper campaign against him "by leaders who joined the party after it came to power", Mr Vishwas insisted he was "only liable to the party workers and AAP's founding principles", not to the bunch of Twitter-savvy party leaders in Delhi.